All roads lead to the Isle of Wight this weekend or should we say all boats lead there? 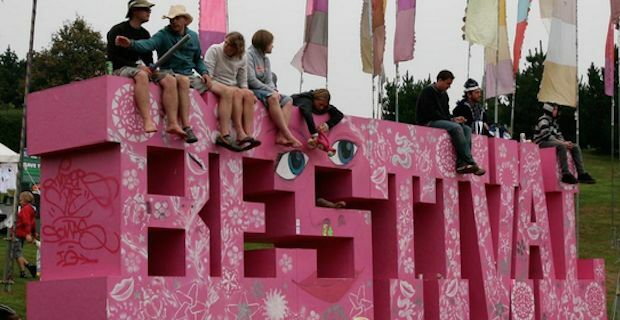 That's right, 4 days of the amazing Bestival kick off today at Robin Hill near Newport with festival goers looking to finish the festival season in style. This year's theme for Bestival is a Desert Island Disco theme which is sure to capture the imagination of music fans. Let's take a look at what the headliners have to offer and also point out some other acts should not be missed if you can get a place at their stage. Outkast are not to be missed and they are due to headline the main stage at 10pm on Friday night. The hip hop duo of Andre 3000 and Antwan Patton are notorious for not getting along with each other so whenever they are feeling ok enough to share the same stage fans know that they will be in for something extra special. At 10pm on Saturday, get ready for Foals with their unique blend of rhythmic indie rock that is unmistakeable when you hear it. The band will be fresh from headlining Glastonbury's annual Pilton Party at Worthy Farm on Friday night so they should be well in the mood to make an impact. Chic takeover the main stage at 10pm on Sunday and there will be a major clamour to see them after the recognition that Nile Rodgers received in 2013. Since his contribution to Daft Punk's sounds of last summer, Rodgers has been in demand big time so it will be great to see him play his heart out with his original partners in funk crime. Other acts to be caught over the 4 day festival include Beck, Laura Mvula, London Grammar, Caribou, Chvrches, TUnE YArDs, Bonobo and Wolf Alice. If none of these amazing acts tickle your fancy you don't have to feel down for too long as there are literally hundreds of bands and singers performing throughout the weekend to make sure you and your festival companions have a ball.